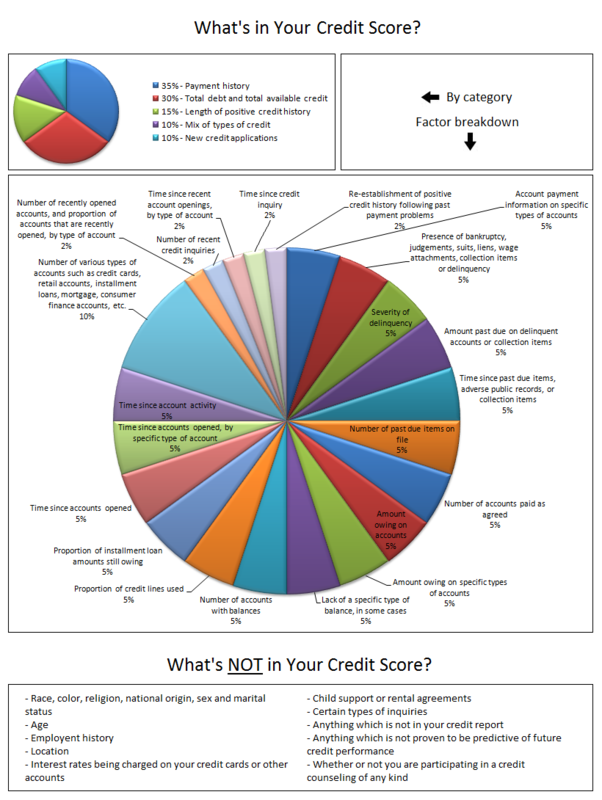 This graphic has been created using data published by the credit reporting agencies. The numbers are not exact! The purpose of this chart is to give you a general idea about what goes into your credit score, but not to quantify the actual effect of each factor. The actual credit score calculation is not publicly available. COPY to embed this image on your website!